Police officers secure a cordoned off area at Waterloo station near to where a suspicious package was found, in London, Britain, March 5, 2019 (Photo: REUTERS/Peter Nicholls). 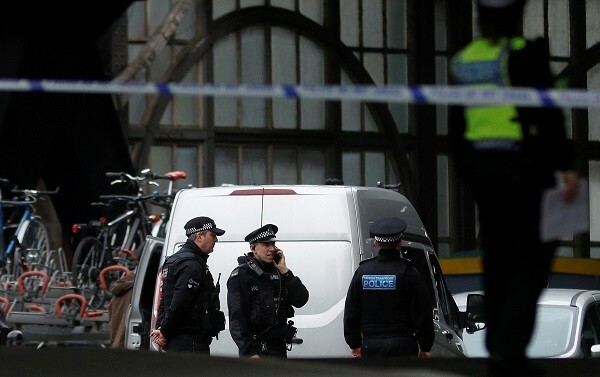 BRITISH counter-terrorist police said they had launched an investigation into who sent three small bombs to two London airports and a major rail station today (5). The three devices, sent to Heathrow and London City airports and Waterloo train station earlier in the day, “appear capable of igniting an initially small fire when opened,” London’s Metropolitan Police said. 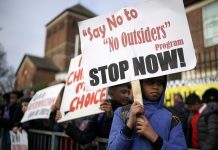 “The Met Police Counter Terrorism Command is treating the incidents as a linked series and is keeping an open mind regarding motives,” they added in a statement. No one was injured by the devices and services were not affected.